Practice, Service, Equanimity, Generosity, Potency & Commitment to Excellence. At Yoga North we hold these 6 Core Values as guideposts in our daily studio operations, our facilitation of teacher training at the 200 hour, 500 hour and 1000 hour levels, and our collaborations within community both locally and remotely. 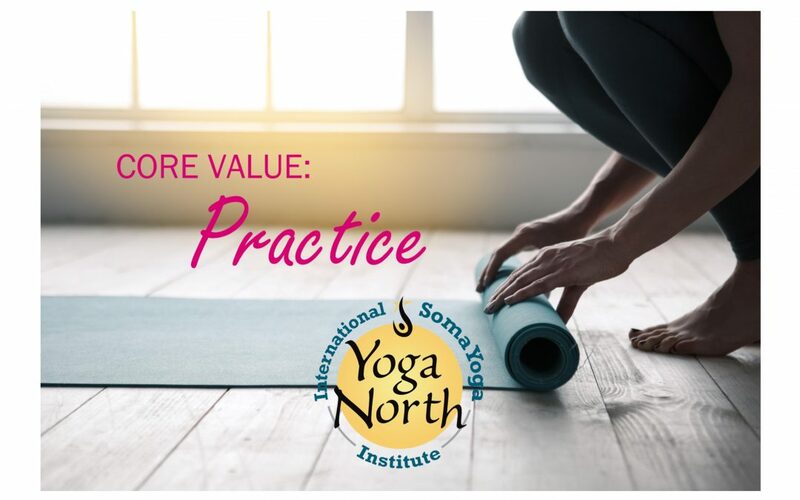 It is encouraged of Yoga North employees to consider these values personally as well as professionally. It is important to note that when we discuss PRACTICE, we are referring to a daily ritual devotion. Practices can, will and should vary greatly from person to person. And will vary for an individual from day to day, and will certainly change a great deal with the passing of time. Daily asana, meditation, pranayama, contemplation, dinacharya (daily routine), a hike in the forest, tea ceremony and lovingly and mindfully preparing our meals are just a few of the tools we can bring into our daily practice. While there is great benefit from the repetition of many of these practices, the most important thing is showing up consistently and treating yourself with the utmost compassion when you do (or don’t!). We do not practice to reach an endpoint, we always need more practice. At Yoga North we teach students many tools of self-discovery, transformation and empowerment, and we understand the importance of upholding our own practices so that we can effectively do so. 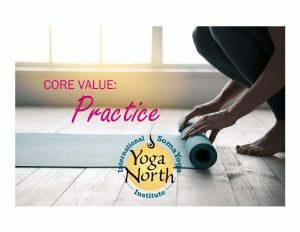 As a 200 Hour student and an employee I can see the commitment Yoga North has in making sure that what is being taught is an integral part of their value system.